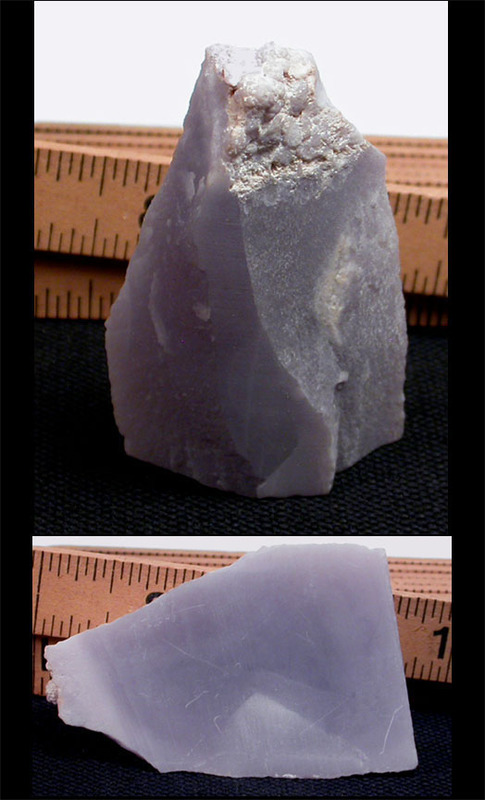 Colorado Botryoidal Yttrium Fluorite - Partially Cut, stands or reclines alluringly. 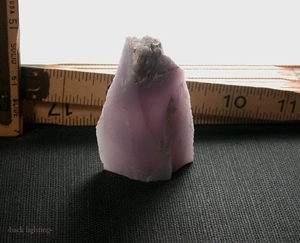 1/2x 1-5/8x 2-1/2" to self-display or make into astounding jewelry, it's a wide range of soft lavender hues with a soft, suede-like feel. From the Brown's Canyon District with truly rare mamillary [rounded] growth habit and excellent translucence. Keep its' fine coloration by displaying away from direct sun and fluorescent lights, just as you keep any of the colored gemstones.